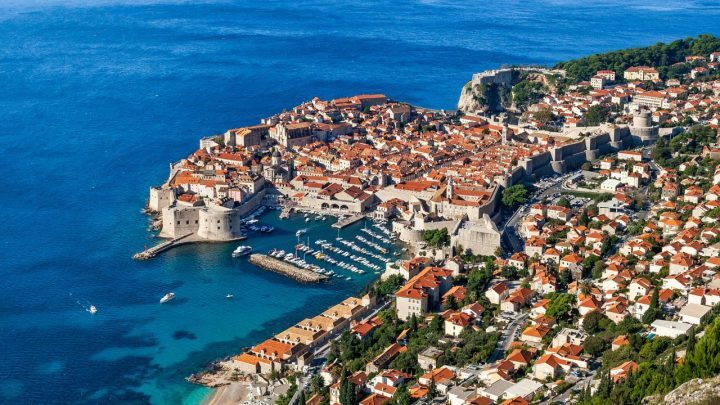 Best Places to Visit in Croatia – 30 Beautiful Places in Croatia you must visit! Croatia is an idyllic place to go on vacation, definitely one of the most popular and famous in Europe! And it really does have a lot to offer. There are tons of fun attractions and uniquely beautiful landscape to explore. One of the best things about visiting Croatia is that it is quite cheap, so almost anyone can do it. There is no shortage of great hotels and resorts to stay at while you are here. The interesting history of this country is just one of the reasons to come here. There really is something for everyone in this country. Let’s take a look at the Best Places to Visit in Croatia! Zagreb is the capital of Croatia and it is packed with museums that have fascinating exhibits to explore. There are lots of fun attractions for everyone here, including a massive cathedral with a 12th century gothic design that will take your breath away. There is also St. Mark’s Church, which has a medieval architecture. Ban Jelacic Square offers more historic buildings as well as some of the best shopping in the whole country. The Museum of Mimara contains a collection of historical items from a private collector, and it is definitely worth visiting. There is also the Croatian National Theatre, which was opened back in the late 1800s. A wonderful place to visit for those who love culture and the arts. It also has a spectacular nightlife scene with bars and clubs abound. Plitvice Lakes National Park can be found in the central part of the country, and it is truly one of the most beautiful natural wonders of the world. Here you will find a total of 16 different lakes with crystal clear waters that are just perfect for swimming (unfortunatelly this is not allowed here…). There are also huge cascades and flowing waterfalls that make for a picturesque sight. You will need a ticket to gain entry to this park, and it makes for a wonderful day trip. It takes about six hours to fully explore this park on foot, but it is well worth it. You can get a boat to explore this area as well. The best time to come here is around April. Think different! Spend a night in Plitvice Lakes National Park! Most visitors come to Plitvice Lakes usually for a day only! Quite short for such a wonderful place, what do you think? Think twice and rather spend a night (or two…) in one of the most beautiful places in the world! Ethno Houses Plitvica Selo is a unique accommodation in a perfect location! Enjoy romantic, adventurous and exclusive holidays in the heart of Plitvice Lakes National Park! Opatija is where many wealthy people go to get away, and it is considered to be one of the most beautiful areas Croatia has to offer. The large mansions that look over the water are quite a sight to gaze upon. One of the best things about this area is how nice the weather is all year long. You will have a lot of incredible places to eat and go shopping while you are here. It is important to keep in mind that is one of the pricier places to visit in this country. If you are on a tight budget, you can always go to the beach for some free fun. Bol is another gorgeous place to visit in Croatia, and it has lots of nice historical buildings and houses that are made of stone. Zlatni Rat Beach is close by, and it is remarkably beautiful with miles of sand to walk along. Whether you want to go swimming or just bathe in the warm sun, this is an ideal destination. There are some great local eateries that you can visit for a bite to eat when you get hungry. This area is particularly popular with windsurfers, though it is ideal for all sorts of water sports. Dubrovnik is another coastal city with some very impressive scenery to be sure. Tourism makes up a big chunk of this city’s economy, so it is usually packed with visitors from all over the world. There are lots of great hotels to stay at, so your options will not be limited. The restaurants here have some of the best food in the whole country. You will be sure to love swimming in the crystal clear blue waters. You can take a cable car to the Mount Srd, which offers some amazing views of the entire area. This charming little city also has a very active nightlife with plenty of great bars. Hvar is often regarded as having some of the best weather in Croatia, as the sun always seems to be out. The beautiful architecture of the buildings here compliments its idyllic natural scenery. There are a number of coves that you can explore when you feel like going on a real adventure. The extensive lavender fields are also quite stunning. This town is a wonderful mix of raw beauty and traditional tourist attractions, making it a great choice for everyone. The classy restaurants and bars that you will find here will provide you with all the good food and drinks you can handle. Korčula is one of the biggest islands that make up Croatia, and it has some of the most isolated white sandy beaches. This is yet another great place to visit if you want to experience the incredible natural wonders this country has to offer. The medieval squares here have many unique buildings with amazing architecture that you will definitely want to see. The history of this area is still very much alive. Locals greet visitors with open arms, so it is a very friendly place. The live music performances and ancient religious ceremonies are spectacles that everyone who visits can enjoy. Kornati National Park has nearly 100 different islands, and many people who live in this country call it a true paradise. Each of these islands is completely uninhabited, and they are made up of steep cliffs, deep dark caves and other amazing kinds of landscapes. Because these islands are so close together, they pose a particular challenge to those who love sailing. You will need to buy a ticket to gain access to this park, but it is cheap. Those who come here can hike on the trails or head to the water to snorkel and swim around. The gorgeous bays and other attributes of this park make it a top priority for all tourists. Krk is Croatia’s largest island, connected by a long toll bridge. You may need to pay to get to this island, but it’s worth it when you consider everything it has to offer. This is a popular tourist spot because of the historical attractions and cosy beaches. Here you will find St. Mary’s Cathedral, which was built back in the 12th century. You should also go to Frankopan Castle, which has guided tours on a regular basis. There are a lot of secluded beaches here that will allow you to relax in peace. This is one of the best places to day trip to if you are visiting Croatia. There are many different national parks that you can visit in Croatia, but Krka National Park is among the very best. The raw beauty of this park is overwhelming when you see it for the first time. The long flowing waterfalls and streams will have you wanting to stay forever. You will see a number of different animals here, and there is also a beautiful monastery. There is a large canyon that is 200 meters deep, and it is quite majestic. You will find numerous hiking trails that you can use to see just how breathtaking this whole area really is. Makarska is a nature-lovers paradise with its expansive mountains and diverse wildlife population. This is a wonderful place to go paragliding for those who have a real adventurous streak. You can also just stroll along the waterfront if you are in a mellow kind of mood. This place offers some of the best hiking and rock climbing in the country. You can also rent a kayak and paddle around the area to get a closer look at the stunning landscape. This is one of Croatia’s best-kept secret, but it has started becoming increasingly popular with tourists. There is also a decent nightlife scene that you might want to explore when the sun goes down. Mljet has a fascinating mythological history behind it, and it is among the most beautiful places in all of Europe. This island consists mostly of Mljet National Park, which has countless acres of trees. There are a few different manmade attractions that you can explore as well. It is highly recommended that you visit the Roman palace here, which was built in the 5th century. The historical structures here are unlike anything you have ever laid eyes upon. There is a cave next to the sea that you can walk through as well. The Benedictine monastery is quite impressive on the outside and inside. You can also visit tombs that are centuries old. Osijek is the biggest city on the eastern section of the country, and there is a university that thousands of students attend each year. Hapsburg defensive fortress is one of the main historical attractions, and it has been around since the 1700s. There is definitely no shortage of stunning places to visit here. You can walk alongside the banks of the Drava River for a nice relaxing stroll in the afternoon. There are some great restaurants here that serve exquisite food. Anyone who wants an authentic Croatian experience should make a point of visiting this place. Pag is best known for its long stretches of pebbly beaches that attract lots of tourists each year. It also has lots of vineyards, making it the perfect place to go for those who love drinking wine. You can take tours if some of these vineyards throughout the year. The architecture of the historical buildings here is quite spectacular as well. You will find that Zrce Beach is also very beautiful and offers a very active nightlife that won’t disappoint. This area is perfect for just about everyone, including families who are on holiday. 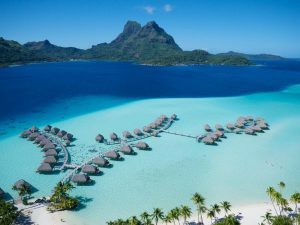 Whether you want to swim in the clear blue waters or have some drinks at a nice bar, this place has it all. Paklenica National Park has nearly 95 square km of mountains, and it is one of the most breathtaking sights you will see in all of Croatia. If you love to go hiking, there is no better place in the country than this. You can rent bicycles here as well, which will give you some exercise and the perfect chance to see this area’s striking landscape. There are two gorges here, one of which is 14 km long. The Mala Paklenica gorge is 12 km in length, but just as impressive. It is not uncommon at all for people who visit this area to see a wide variety of animals, including bears, eagles and lynx. You can hire a guide to show you around, or you can simply explore yourself. Poreč’s has a long and fascinating history that is tied to the ancient Romans. Today this town is a popular spot for tourists who are looking for a beautiful historic place to visit. Some of the older parts of this town date back to the 4th century. There are many impressive old buildings that you can see when you come here. You will also have numerous pebbly and sandy beaches to visit here. There are over 200 km of trails for hiking and cycling that you can enjoy. Those who love the great outdoors won’t want to miss this place. Some of the cycling trails are quite challenging, so you will want to explore your options. Pula is among the biggest cities in the country, and it has a certain charm to it that make many tourists want to move here permanently. There are some very impressive old structures that you can see, including Hercules Gate, which was built in the 1st century. The Temple of Augustus is another old historical attraction that will be sure to captivate your attention. The Roman architecture of this area is really what makes it something special. When you need a dose of culture, you can go to the local theatre for film screenings and concerts. There is lots of culture, art and history packed into this city. You should look into the bus tours, which go around to all of the different historic sites in this area. Rab is quite a beautiful island that offers a wide range of gorgeous landscapes that you will want to explore. It has an interesting history that you can learn about when you visit the museum here. The southwest area of the island has some amazing pine forests and miles of sandy beach for you to walk along. The steep cliffs add to the raw natural beauty that attracts so many visitors every year. Rab Town is by far the most popular area for tourists, as it has a collection of medieval buildings that date back to the 11th century. Anyone who is fascinated by history should think about visiting this place. It has a diverse wildlife population as well, which can make for some exciting sightings. Rijeka also has a lot of interesting historical structures, such as Trsat Castle and the Church of Our Lady. Both of these places date back to the 13th century and are quite a spectacular sight. Saint Vitus Cathedral was built in the mid-16th century and has some of the most impressive architecture in the entire area. There are also a number of beaches that are lined with crystal clear waters that are perfect for swimming in. This is a very popular area for snorkelling as well. Risnjak National Park is nearby as well, and its dense forests are perfect for hiking through. Some of the different animals in this area include lynx, bears, and many different species of birds. Risnjak National Park is just 30 km from the city of Rijeka, and it is one of the best places to go if you love spending time in nature. The wide range of animals that inhabit the forests here include wild boars, wolves and brown bears. There aren’t any campsites, but there is a guesthouse for those who want to stay overnight. If you love going camping, this is certainly one place that you don’t want to miss out on. The hiking here is first rate, but you do need to be aware of the local wildlife. Those who want to go fishing will also want to head here because of all the clear water. This is the ultimate nature spot to visit in Croatia. Rovinj offers a classic beautiful seaside aesthetic that you will not soon forget after coming here. This place is paved with cobblestone streets and has some of the best views. Head on down to the white sandy beaches when you feel like taking a swim or just sunbathing. This is one of the best daytrips that you can take while you are visiting this country. Punta Corrente Forest Park is close by, and it is well worth a visit. There are quite a few great bars and places to eat here as well. This is a popular destination for tourists, so you can expect it to be fairly crowded year round. Those who like the hustle and bustle of the city will definitely want to come here. Šibenik is located next to the Adriatic, which has some of the clearest waters in the area. This city is particularly known for its Saint James Cathedral, which was built around the 15th century. There are numerous historical sites that you can go around to here. There is a medieval monastery that you should look into visiting as well. The four fortresses here will provide you with some truly spectacular views of the entire city and surrounding islands. Sibenik is a gateway to the Kornati Islands as well as Krka National Park. You should take some time to look into all of the great things to do and see here before deciding whether or not to visit. Split offers an ideal combination of history and modern attractions, making it a wonderful place to visit for just about everyone. Here you will be able to visit Diocletian’s Palace, which is extremely well-preserved and an incredible sight to see. Those who come here will also want to take a stroll on the waterfront promenade, which locals call the Riva. There are plenty of excellent restaurants as well as bars that you can visit. The entertainment here is top notch, and it is worth at least taking a day trip to. You could easily spend your entire vacation in Split because of all the things there are to do and see. Trogir is a very small town that can be found on an island that is connected to the mainland. You will also be table to take a bridge to get to Ciovo if you want to spend some time there. This town’s marbled streets and small shops make it quite the charming destination. There is a big promenade with lots of highly-rated restaurants and bars that you can pop into. You will be able to rent a boat to get out onto the water as well. The coves and beaches that make up this place are certainly worth exploring. Zadar is situated on the Dalmatian coast, and it offers a ton of historical sites that date back to ancient times. The medieval churches are surprisingly well-preserved, and the architecture is absolutely mind-blowing. There are also numerous art installations, including The Sea Organ, which plays music that is created by the ocean waves. This is a wonderful place to go if you love museums as well. Those who visit these places will be able to learn more about Zadar and Croatia in general. Some of the oldest structures in the country can be found here. There are guided tours that you can go on to see these sites one by one. Vodice is considered to be the most beautiful and most tidy resort in the Adriatic Sea. It is among the elite resorts of the Croatian coast and it is also called the Croatian Saint Tropéz. Known for the crowded beaches and busy nightlife. Nights and days are more than noisy, but if you haven’t fallen in love with Croatia yet, here you’ll definitely will! Brela is the first resort on the Makarska Riviera from the north. New hotels are not building here any more, so the resort has really a peaceful atmosphere. It lies under the steep slopes of Biokovo, which protects the whole area from the northern winds. But you have to get used to walking uphill. The beaches of Punta Rata, Stomarica or Berulia are known for pure water. Omiš is a well-known resort that lies at the mouth of the Cetina River. The resort is about halfway between Split and Makarska. In the Middle Ages, this town was known as a pirate mecca. Now, its main attractions are beautiful beaches, amazing surrounding countryside and the Cetina River, known for rafting. Europeans love Croatia for its crystal clear sea and easy access. Just a short distance from many European countries is Croatia’s largest island – Krk. Here you can find a picturesque town of Baška, which is definitely worth a visit. It offers a very pleasant swimming and the resort is suitable for families with kids. You will find several hotels here, countless suites and also a tourist camp with the possibility of parking your own caravan or renting a mobileheim. Sjeverni Velebit National Park is the youngest of seven national parks in Croatia. It was declared a national park at the end of 1999 and includes the northern part of the Velebit mountain range in Northern Dalmatia and the seaside. The most famous hiking trail is the Premužićeva staza, which runs from north to south. The footpath is very well marked and modified, and it is about 50 km long. The highest peak is Vučjak with a height of 1645 m.